Rabbi Daniel Epstein has been serving the Cockfosters & N. Southgate United Synagogue – an 1,100-member North London community – together with his wife Ilana, since June 2014. Rabbi & Rebbetzen Epstein moved to Israel in 1998, where he established a PR firm, servicing over 40 government, corporate, technology and non-profit clients including JNF UK, the European Jewish Congress, the World Holocaust Forum, Leket Israel, Nefesh b’Nefesh and Kemach Israel. He subsequently fundraised for The Arad Foundation and The Pelech Jerusalem School and was CEO of Sunrise Israel, a summer camp for Jewish and Arab children with cancer, alongside their healthy siblings, while studying for semicha (rabbinical ordination) in Jerusalem. In London, Rabbi Epstein is involved in interfaith dialogue, runs a successful adult education programme in Torah, political, social and economic thought; and works to raise awareness of mental health challenges in the Jewish community. He initiated the idea of a Mental Health Awareness Shabbat, which had its launch in February 2017, with the involvement of over 80 Anglo Jewish communities of all denominations, as well as across several university Jewish societies and Jewish high schools. Rabbi Epstein studied at Yeshivat Har Etzion in Israel and, subsequently, at the Straus-Amiel post-ordination Rabbinics School. 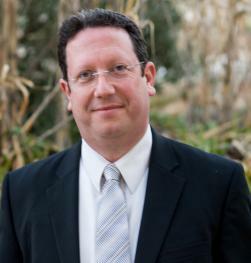 Rabbi Epstein holds a BSc (Hons) ARCS in Chemistry and Management Science from Imperial College London and he and Ilana have 4 children, aged 10 to 19. It’s not that he’s 92 and stood on stage. Over 120 people took part in our Seven Decades Quiz on Sunday 28th January, spanning the seven decades of our community. Join Cockfosters and N Southgate Synagogue's 70th birthday celebration! Vestibulum ante ipsum primis in faucibus orci luctus et ultrices posuere cubilia Curae; Cras tempor.